Air quality matters so why compromise? - The ComfoAir-Q from OMNIE pumps clean and fresh air into your building whilst removing stale used air in the process. The ComfoAir Q from OMNIE is the NEW generation of heat recovery ventilation units, with state of the art design and intelligent technology, regardless of whether you are working on a new build or an old building, with OMNIE comfortable ventilation you have an innovative, tried and tested complete system. 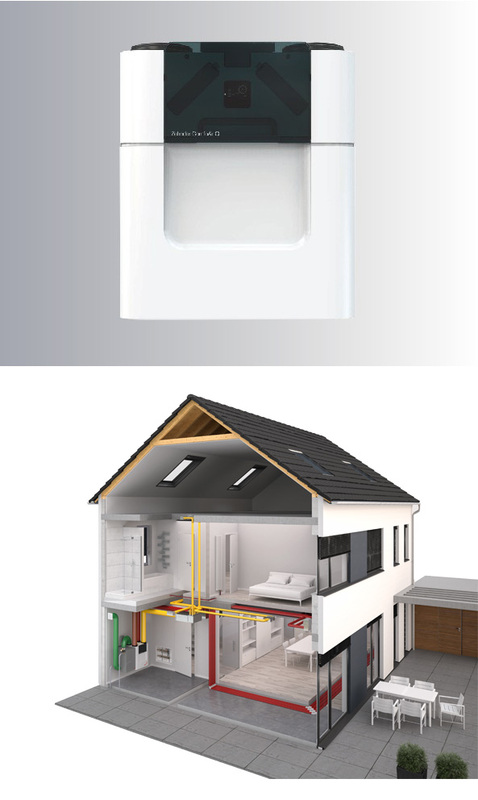 OMNIE ventilation systems innovative technology make for less complexity, increased heat recovery efficiency, lower specific fan power and significant noise reduction. A perfect combination of outstanding technical performance and excellent features makes ComfoAir Q the best in class achieving top efficiency ratings. Fresh air is fed into the system via an external wall vent. The fresh outside air can optionally flow through a sub-soil heat exchanger beforehand which uses geothermal energy to pre-temper the outside air. Up to 96% of the heat is recovered from the extract air and transferred to the fresh air. This can be humidified, dehumidified, heated and cooled using optional components. The air distribution system channels fresh air at the right temperature to individual rooms as needed and vents the extract air to the outside. The air volume can be individually adjusted for each room. Click here to visit our comprehensive resources section for datasheets and installation guides.